Grit, Gumption and Greatness. These were the three infallible attributes of the man voted by the Runners World Magazine as the Greatest Runner of All Time. 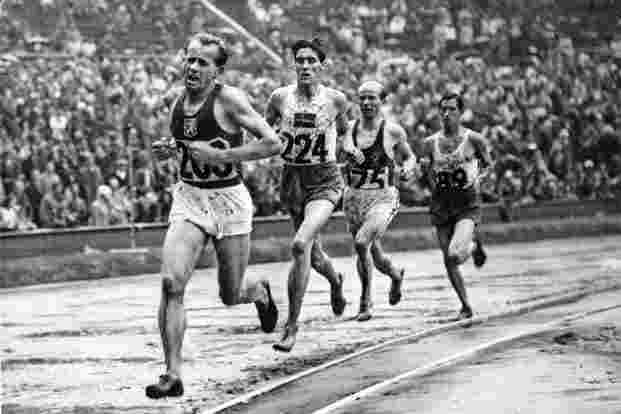 Setting a slew of world records (18 in total), achieving the incredible treble victories (5000 metres; 10,000 metres and the Marathon) at the Helsinki Olympics in 1952, and leaving in ruin every competition of formidable note in his wake,Emil Zatopek was undoubtedly the very synonym of endurance running in his time. Eviscerating his opponents with an attitude that was stunningly unassuming and refreshingly humble, Zatopek put the former Czech Republic atop the very pedestal of a sport which was hitherto the bastion of the Finnish and the Swedes. However instead of being honoured as the pride of a nation, this champion runner fell prey to the devious mechanisms of the Communist regime and was even treated as a pariah and made to sweat it out in the coalmines! This fascinating biography of Emil Zatopek by Rick Broadbent relives the ecstatic and excruciating life of one of the greatest athletes the world has ever seen. Initially spurred on to tirelessly run across agricultural fields with a view to escaping the ensuing beatings of a father hot on his heels, “Emil The Wimp” as he was commonly known in those days, perfected his own method of running. This method of ‘interval running’ is described in a delightful manner by Rick Broadbent in the book. Emil Zatopek’s style of running was so contorted – with flailing arms, neck bent at an angle and almost resting on a shoulder, and a lolling tongue – that it was described as “wrestling an octopus on a conveyor belt”, and yet it were these contortions that ensured that Zatopek would go down in the annals of history as the greatest endurance runner ever to have set foot on a running track. 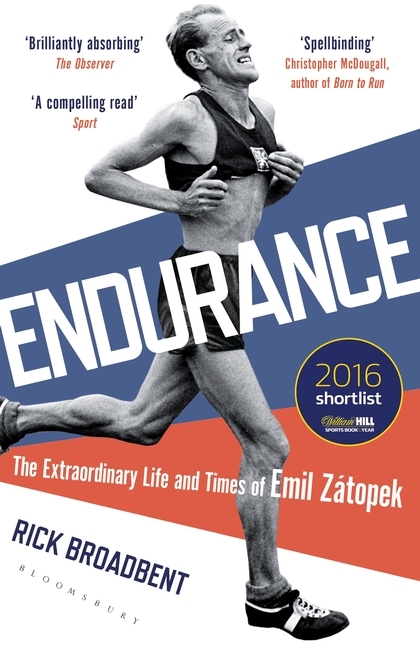 Researched immaculately and narrated impeccably, “Endurance: The Extraordinary Life and Times and Emil Zatopek” segues the happiness and horror; miracles and madness; friendships and rivalries in a gripping fashion. The highlight of the book is the rivalry (although extremely genial) between Zatopek and some of his most feared and famed adversaries such as the Frenchman Alan Mimoun who was always described as being in the shadows of Emil; Vladimir Kuts, the intimidating great bear from Russia; Gordon Pirie the outspoken and vitriolic Englishman who mimicked the running style patented by Zatopek and the tireless Finn, Viljo Heino who embedded the very Finnish “sisu” or stoicism which led to some immortal head ons with Emil Zatopek. 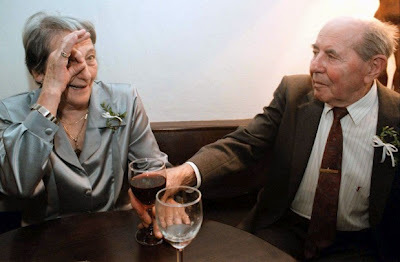 The love affair between Emil and Dana (a javelin Olympic Gold Medallist) and the unique training methods embraced by the Champion couple as described by Broadbent also make for some enthralling reading. However the most revealing and nerve wracking portion of the book lies in the harsh and deplorable treatment of national sporting heroes by a suspicious and insecure Communist regime on the basis of unreliable information received from a continuously churning rumour mill. Ice hockey teams are stripped of their status and made to work in concentration camps; Zatopek’s own coach for a brief period Dr.Jan Haluza is detained, brutally tortured and put to work in mines in conditions that can only be described as revolting. Fate did not spare the country’s greatest ever sportsman as Zatopek was stripped of his post in the army, regarded as an untouchable and packed off to work in the coal mines away from Prague. A slur on an entire nation which has been basking in the glory of victory perched on the shoulders of the very man whom it decided to denigrate. Emil Zatopek conquered the world of endurance running but still remained firmly grounded, humble and ever willing to impart a precious advice to team mates and rivals alike. Rick Broadbent with his wonderful work provides a sterling tribute to the man, his mission and his methods.